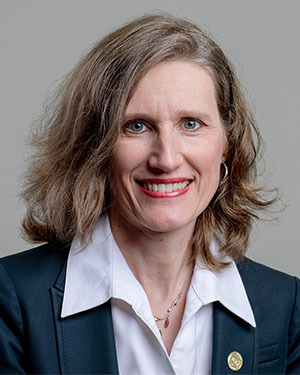 Dr. Donna Pattison’s primary interest is in the development of strong curriculum and instructional methods for undergraduate programs in the College of Natural Sciences and Mathematics. Our program seeks to engage students through active-learning activities in large-enrollment freshman-level courses. Activities range from clicker questions, think-pair-share discussions, and classroom demonstrations. Additionally, curriculum for recitation sessions to complement lecture instruction has been developed. Recitations are led by undergraduate teaching assistants who facilitate the small group activities. Pattison has developed a training program covering teaching pedagogy for NSM’s undergraduate peer facilitators. A separate workshop program has been developed for departmental faculty. Her research interest currently lies in the development of biomaterials from Drosophila ultrabithorax (Ubx) protein. The project is in collaboration with Dr. Sarah Bondos at Texas A&M Health Science Center. Undergraduate students in Pattison’s BCHS4311 Biochemistry II Laboratory course must review the literature, develop a question to test, design a protocol, carry out their experiment, and adapt and modify their protocols based on their results. Student teams present their work in a seminar format to their peers and their invited guests at a Saturday Ubx Student Showcase. Each student also prepares a journal-style manuscript to report their work. Interesting findings and results are shared with the Bondos Lab for further study by undergraduate summer research students selected from the BCHS4311 class and her graduate student team. The project is designed to provide students with a true research experience and an opportunity to contribute to the knowledge base on biomaterials.